Ted Hart, ACFRE, CAP®, President and CEO, CAF America, brings 30+ years of experience in advising global philanthropy. As an internationally recognized speaker, Ted is an expert in both domestic and global philanthropic regulations and risk management. During his tenure as President and CEO, CAF America has witnessed exponential growth, significantly expanded its suite of services and dramatically increased the number of charities funded around the world. Before joining CAF America, Ted served as President of an international consultancy firm, providing strategic solutions to major nonprofits and NGOs. He has co-authored six books published by John Wiley & Sons, including People to People Fundraising, Internet Management for Nonprofits and Fundraising on the Internet. Ted played a critical role in the creation of the green nonprofits movement and was founder of the International ePhilanthropy Foundation. 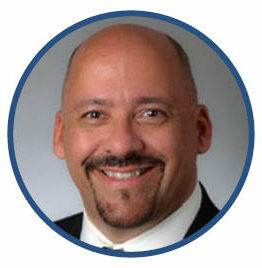 In addition to his Master in Public Administration (MPA) degree, Tedis a Chartered Advisor in Philanthropy (CAP), he holds the Advanced Certified Fundraising Executive (ACFRE) designation, which is held globally by less than 120 people, and is certified in Anti-Money Laundering (AML/CFT) by the Society of Tax and Estate Professionals (STEP).